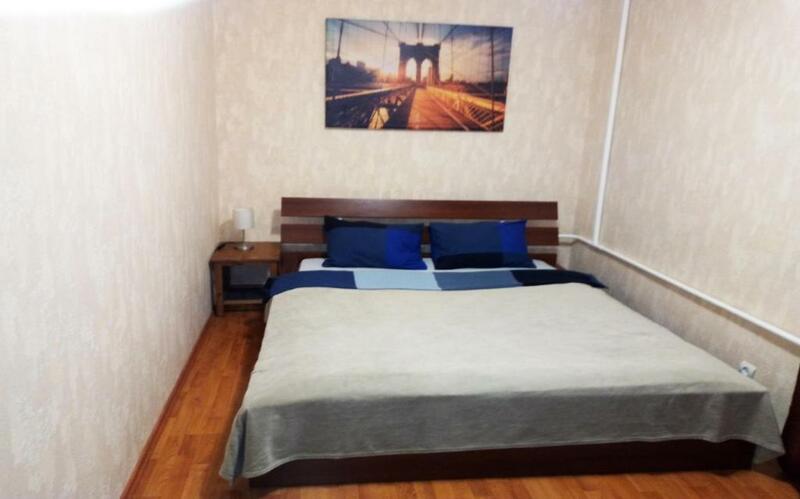 Great location, loctated in the city center, 3 mins from supermarket, 5 mins from bus stop, 7 mins from McDonald's, and 10 mins from subway station. Nice host, Roman, the colleague of the host, waited for us patietnly and treated us friendly. Although he does not speak English, we communicated via WhatsApp and translator smoothly. Very comfy and clean apartment, good location, Tatiana is a nice manager, very friendly. We had everything we needed. Absolutely recommend! Местоположение. Недалеко от центра. Бульварное кольцо в пешей доступности. Рядом несколько станций метро: Сухаревская, Цветной бульвар и Проспект мира. Много ресторанов и магазинов, цирк, театр зверей Дурова и др. Кондиционер (очень помогает, т.к. ночью приходится закрывать окна). דירה נוחה מאד. מצויינת לילדים. יש מגרש משחקים למטה. הוא מופרד מהכביש, כך שילדים יכולים להיות שם לבד ללא חשש. הדירה בקומה ששית, אבל יש מעלית. אמנם יש רעש מהתנועה בכביש הסמוך שסואן מאד, אבל בלילה אפשר לסגור חלונות ולא שומעים כלום. יש חלונות מבודדים בצד של התנועה. Расположение (центр, рядом с Олимпийским, недалеко продуктовые магазины, метро). Хозяйка отвечала на сообщения оперативно и доброжелательно. Понравилось все! Квартира, близость метро, магазинов, центр в шаговой доступности. Спасибо хозяйке! Прекрасно провели время! Lock in a great price for Moscow LifeStyle aprt - Sadovaya-Sukharevskaya – rated 8.3 by recent guests! 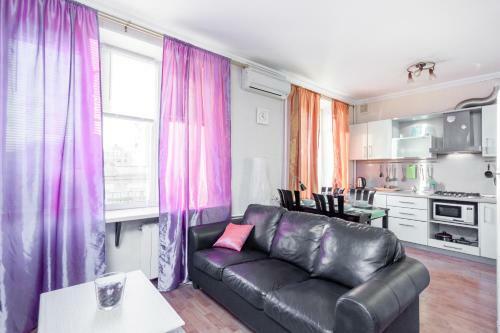 Located in Moscow, Moscow LifeStyle aprt - Sadovaya-Sukharevskaya offers free WiFi and units equipped with a kitchen and seating area. Fitted with a balcony, the accommodations offer air conditioning and feature a flat-screen TV and a private bathroom with bath. A microwave and fridge are also featured, as well as a coffee machine and an electric tea pot. Victor Vasnetsov House Museum is a 5-minute walk from the apartment. Meshchansky is a great choice for travelers interested in culture, history and museums. 뀐 Located in the top-rated area in Moscow, this property has an excellent location score of 8.7! When would you like to stay at Moscow LifeStyle aprt - Sadovaya-Sukharevskaya? House Rules Moscow LifeStyle aprt - Sadovaya-Sukharevskaya takes special requests – add in the next step! A RUB5000 damage deposit is required on arrival (around USD78.36). This deposit will be fully refunded 7 days after check-out, as long as there isn't any damage to the property. Please note that check-in and check-out outside of standard hours are available at surcharge upon request. Please inform Moscow LifeStyle aprt - Sadovaya-Sukharevskaya of your expected arrival time in advance. You can use the Special Requests box when booking, or contact the property directly using the contact details in your confirmation. A damage deposit of RUB 5000 is required on arrival. That's about 78.36USD. This will be collected by bank transfer. You should be reimbursed within 7 days of check-out. Your deposit will be refunded in full by bank transfer, subject to an inspection of the property. The gym device seems broken.